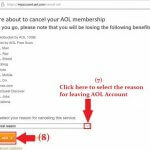 You are here: Home / Web Browser / How to Delete Google History? 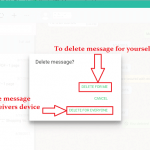 How to Delete Google History? Concerned about privacy and don’t want personalized search result and advertisements?? 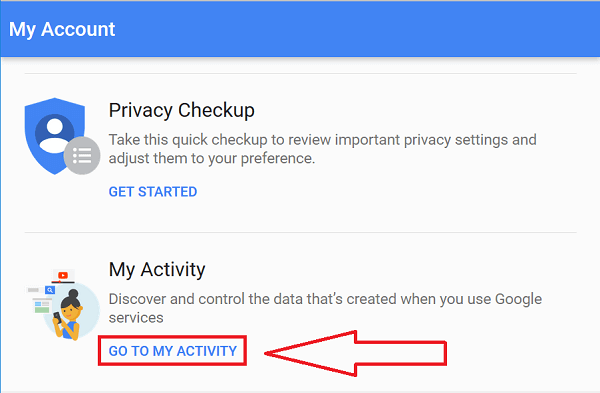 As we all know Google records all the activities, you perform in by using various Google products like Android, Gmail, Google Drive, Google Maps, YouTube, and Google searches for my activities. It is different from web history as it stores not only the sites you have visited but also the videos you search in YouTube, the location you search in the map and other activities performed using Google products. Google uses this data to customize the search result, customize the recommended site for you and provide other additional utilities to improve your browsing experience. However, if you feel like what Google has recorded for you shouldn’t have been recorded, or you want your trace to be stored to maintain your privacy you can delete the history stored in the Google. 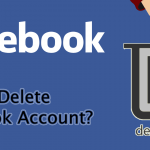 How to Delete Google History Permanently? Open https://www.google.com in any web Browser you prefer. Yes! You don’t need Google Chrome for this you can use any browser you are comfortable with. 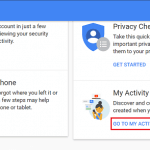 Log in with your Google account whose data you want to clear. 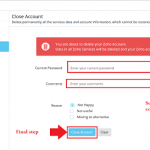 To log in click on Sign in option at the top right corner of the page and enter the username and password of the account whose history you want to delete. Once you are logged in on the circle with the image at the top right corner of the page and then click on My Account option. In My Account page click on Go to my activity option under My Activity tab at the bottom of the page. You will be directed to the Google-My Activity page. Click on menu option (three dots arranged vertically) on the top towards the right of the page. A drop-down list will appear. From among the menu click on “Delete activity by” option. Select the time range from when and up to when you want to delete your activity history. If you’re going to remove Google activity of specific Google product, you can also select a particular product. For instance, if you want to erase activity of YouTube only then, you can select YouTube. 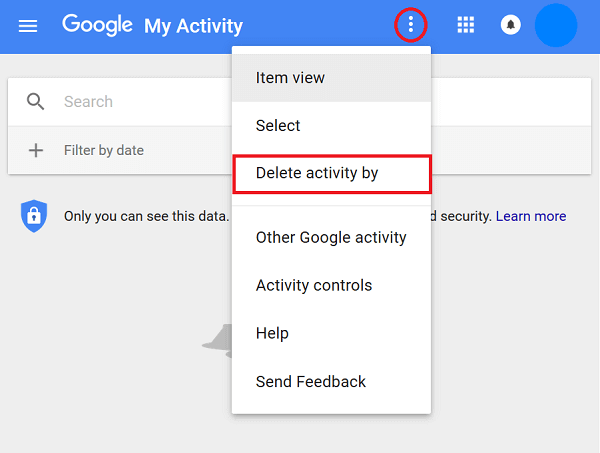 If you want to delete entire Google activity, then select All Products. ?To delete entire Google search history, select ‘All time’ from the drop-down menu. 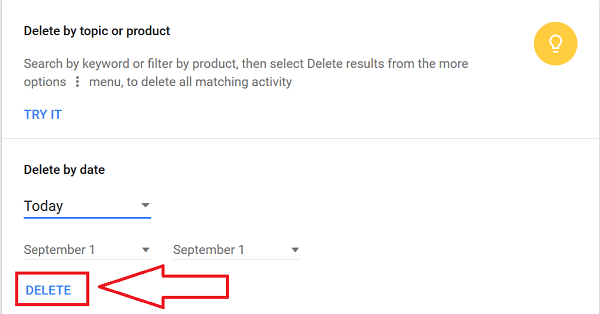 Once you are done choosing time range and Google product, click on Delete option at the bottom of the page. All of your Google activities are deleted. You can experience the difference in the search result, recommendations made by Google after removing Google activities.